¡Porque la Innovación hace crecer los negocios y los lleva al siguiente nivel! Location, location, location. AVUXI analyzes geo-BigData from multiple sources to create a unique social relevance score of every geo-coordinate on the planet. The application that allows you to find parking. Auravant is an integral digital platform for the development of precision agriculture that allows the producer / agronomist to manage and monitor their field remotely through satellite images. Digital transformation to smartbuildingss, acces control, electrical concsumption and multimedia. Invisibly and linked to any mobile. Sell, organize and invoice in a visual, easy and automatic way with Billage, the complete platform for the management of your company. Booklyng optimizes clients's visits to the webs of the hotels converting them into effective reservations thanks to a personalized experience that guides the user. Turn children into book lovers by helping their parents find the books they like in an easy, intuitive way. A software designed to customize the musical environment of each business and thus increase their sales. Number one online booking service for beauty saloons. Cl3ver is a SaaS to edit and display 3D content online. The company is based in Barcelona and uses the WebGL technology to display 3D models on any webpage on desktop and mobile devices. Provides the world's first Resolution-centric automated issue resolution service for Enterprises. Cyber Deception Platform: Detect targeted attacks with a real-time active response that automates counterintelligence campaigns. Dunforce is a web platform for small and medium companies to help them send their invoices safely, track them, and offer an easier and better way to pay. Custom electronic devices for IoT and Industry 4.0. FIRSTVISION is a wearable broadcast system that immerses fans into the game through the athlete's' point of view. Floorfy offers an online platform where real estate agents can create, host, and publish virtual reality content for the sale of their properties, attracting new customers and saving time and money on unnecessary visits. The tool for creating interactive communication experiences that make your audience fall in love.The tool for creating interactive communication experiences that make your audience fall in love. Communicate, educate, and attract more than ever before. It’s time to bring your content to life. 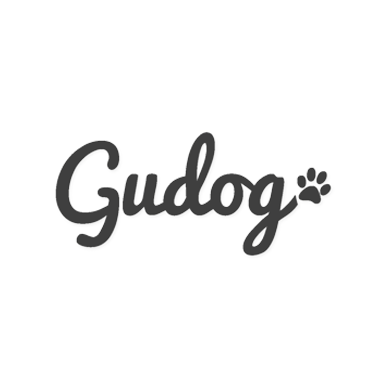 Gudog is a platform that connects experienced dog sitters and dog owners. Platform that enables producers and exhibitors to improve their business by taking full advantage of the Internet and IT Technology. Mobile Cloud Computing offers an innovative solution to overcoming performance constraints. By taking advantage of Mobile Cloud Computing, our technology has the potential to reinvent the way consumers are able to use their devices. LUDUS presents a simulation system through virtual reality for the training of professionals in industry and emergency. Made of Genes provides the legal, logistic and computational framework to allow any person to have an informed and secure access to their genome. Revolutionizing the way publishers create, optimize and monetize their mobile websites. Marfeel’s proprietary technology gathers insightful data on user behavior and dynamically adjusts site layout to match usage patterns, optimizing user engagement and maximizing ad revenue. QMENTA is an advanced medical image storage, processing and visualization company focused on brain data analysis, specifically using MRI and related clinical data. The electricity consumption meter that will allow you to save. CyG offer a complete technological solution, from installation to maintenance of your computer systems. Artificial Intelligence & Natural Language Processing applied to semantic targeting in Google Ads. Technology company specializing in Internet of Things (IoT) for the Logistics and Supply Chain sector. Tool to design, implement and manage cognitive training programs for neuropsychological intervention in learning problems. SmArDS is a software which automatically detects points within audiovisual content to insert ads. It respects the viewer, improves brand quality and boosts ad revenues. Smart Protection locate and delete Internet piracy to ensure content protection. We recover the value of what is yours on the Internet. Develop and market Systems and Software to integrate our Social Media Marketing Tools and Tracking Tools into Wifi Systems. DelSúper is a service that makes the purchase of supermarkets to the end user. Software development for M2M systems, IoT, telemanagement, systems integration, security systems, Cloud solutions and web developments applied to communications. The largest open cross-promotion community for app developers around the world. Tappx enables app developers to promote their apps for free by exchanging ads with other developers. Use of Xbox Kinect technology to manage computer applications in an operating room. Teltoo es una red de distribución de video descentralizada que se adapta a las demanda de contenido streaming ofrecidas por operadores, cadenas de TV y proveedores de OTT. thethings.iO is the Internet of Things platform that enables fast and scalable connection of things to the Internet, allowing you to monitor and manage your devices in real time and get flexible analytic reports. The easiest platform to create online applications. Without programming, easy and fast. Award-winning software from a stellar team with decades of experience in government, security as well as research at Oxford University. VChain's unique multi-patented capability enables unhackable connections between data which - until now - was impossible to connect - either because it's sensitive, or silo-ed, or both. Digitalization of agriculture, agronomic management systems connected to IoT 4.0, GIS technology and data analysis. Visual Taggin analizes in real time photographies and videos shared in social media to extract visual information that provides exclusive data. The multi-device and hypermedia online learning platform. Voicemod is the best free voice changer & soundboard software. An online voice modifier with effects capable of converting your voice into robot, female or girl online. An automated online omnichannel solution that provides consumer insights in a rapid and economical manner to enable the daily business decisions. For big companies, SME, start-ups... for companies of all kinds and sizes. Wibson is a blockchain-based, decentralized data marketplace that provides individuals a way to securely and anonymously sell validated private information in a trusted environment. Based in Silicon Valley, we are a technology start-up, building the next generation VR video distribution platform. YBVR is an exciting environment, dynamic and passionate, driven by a group of crazy, innovative individuals set on changing the VR world. The simulated height training thanks to the technology applied to sports and health. International cybersecurity company which goal is to identify, attract & train the next generation of cyber security experts in the most complete Cyber Security Training Framework. startup specialized in automating services and communicating with citizens and tourists, without the need for personnel, in the best areas of the city.